Up to date, I have make this cake 3 times. It was a well received cake. I make the 1st one for a sister birthday . Make in a 8" square cake mold. Using the original recipe it turn out quite thin . I should have know it better when I saw the batter and the size of the tin. Well , it was the 1st attempt, I do allow some mistakes to improve. When the cake was share in a lunch table, it was so yummy . Everyone was waiting to get a 2nd piece if there is any extra. 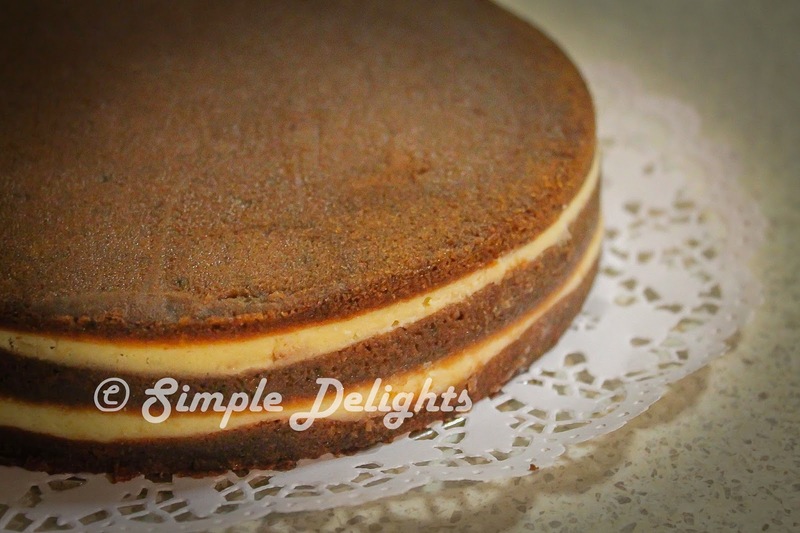 It was a joy to see how everyone love the combination of chocolatere and creamcheese. I must say the texture of the cake was so soft , it make one felt it is not a heavy cake. Indeed this cake , I would classified it as a healthy chocolate cake. After the 1st attempt , I received 2 order for this cake. I manage to make to double the size for a customer order of 8" square cake and use the original measurement for a 7" round cake . The recipe was from this blogger ->Eggplant10. It is a steam bake cake. 1st of my steam bake experience. 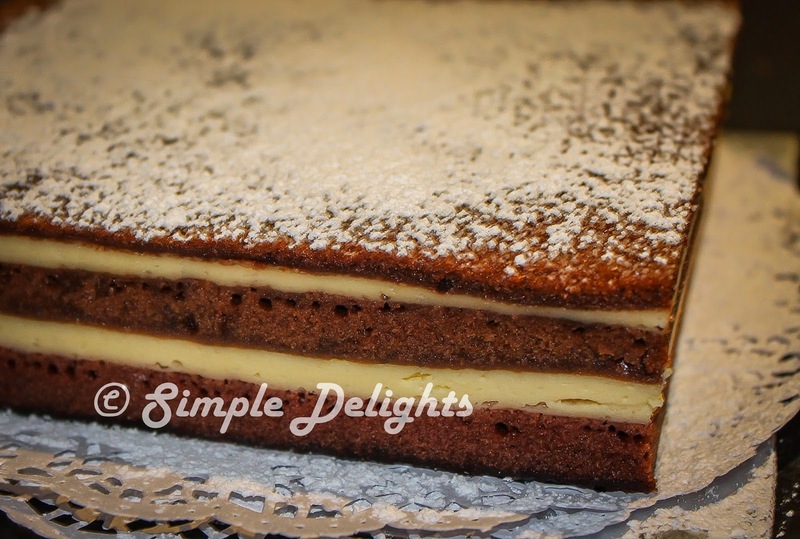 The cake is soft and creamy yet is not heavy in term of taste . 1. Beat Creamcheese with sugar till combine. 3. Mix in water and flour . Leave aside for later used. 1. Beat egg with sugar using electric mixer till fluffy and double in size. 2. Pour in vanilla essence, hot water, milk and cooking oil. Mix gently with hand held mixer. 1. Heat up water in the steamer, grease the cake mold. 3. Pour 1 ladle of creamcheese mixture on top of the chocolate layer , steam for 15-20 min. 4. Continue with another layer of chocolate mixture then creamcheese layer. Till all mixture finished. 5. One complete steaming, take the cake out and demould when the cake has cold down. I make the cake with few layer as it give some volume to the cake and I think it looks nice like a layer cake. Is a simple recipe yet the result is fanstastic. Give it a try, I am sure you will have a great feedback from those you share the cake with.